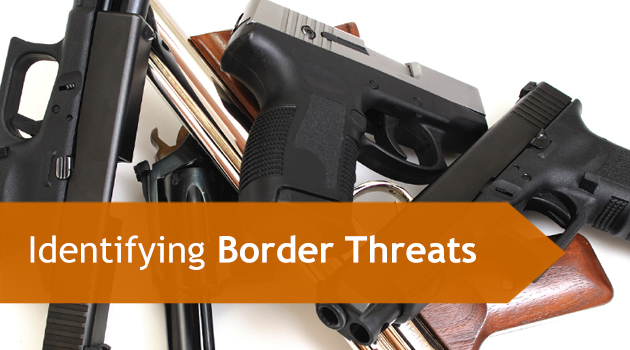 How to Identifying Border Threats - Inter Global Logistics Inc.
Have you ever wondered how importers, exporters, carriers, and especially customs brokers can help identify threats at the border? As a Canadian Customs Brokerage, we are often the “first guard” of identifying threats to the border to keep both our country and its citizens safe. As one of the major links in the trade chain, we are uniquely positioned to notice unusual discrepancies or behaviours that others might not. The trick is to find the right balance between being vigilant of potential threats, while also properly processing goods and speeding up the movement of legitimate imports and exports over the border. The most potent weapon we have to protect the border as a customs brokerage is information sharing. “Partners In Protection” is a collaborative program between private industries who work along with the border and government agencies, such as the Canada Border Services Agency (CBSA). The CBSA’s responsibility is to identify dangerous goods or individuals at the earliest possible point in the trade chain, preferably before the goods even reach the Canadian border. By partnering with private customs brokerage companies, such as Inter Global Logistics, we can work together to make a real difference and work towards the safety of all Canadians. The most obvious threat to border security, and certainly the one most covered by the press, is terrorism. As customs brokers, this rarely falls into our purview. Organized crime, on the other hand, is something that we constantly need to be on the lookout for. Individuals are constantly attempting to move contraband across the border, such as drugs and firearms. This is why it’s so important to use our expertise and knowledge to keep an eye out for anything suspicious, whether it’s with goods or in our interactions with our clients. Obviously, one of the major points to make is that we are not responsible for handling these threats. We are a customs brokerage, not a law enforcement agency! If we see anything suspicious, it’s our job to report it to the appropriate authorities, which in this case is the CBSA. A customs broker should never ever confront a client with any kind of accusation of illegal activity, partially because it could be incredibly dangerous, partially because we might be completely wrong. When it comes to identifying threats, one of our main “weapons” is paperwork. We know commercial invoices, slips, and all other necessary shipping forms like the back of our hand, and we know when something is out of order. 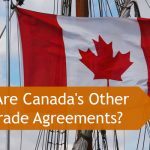 If we notice an unusual commodity description, for example, or that a credit card and address is different from that of the importer, these are things that can raise alarm bells and cue a call to the CBSA. Even when we aren’t dealing with specific goods or clients, we can still do our part to protect the border. If we hear any rumours or information about criminal and illegal activity within some organizations we work with, this is something that we could bring to the attention of the CBSA. Keep in mind, sharing information with the CBSA is not the same as accusing a client of anything illegal. The name of the customs brokerage will be kept out of it. All we are doing is reporting to law enforcement anything that seems strange or out of line. They will investigate to reach the correct conclusion. 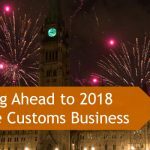 Getting in contact with the CBSA is easy. A customs brokerage can call the Border Watch Line at 1-888-502-9060 to report any suspicions of illegal activity or threats. Likewise, they could call a local CBSA office. 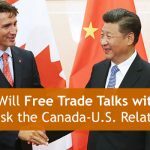 There is also the “Partners in Protection” program, or PIP, that helps facilitate communications between the CBSA and the various parts of the trade chain. We are all partners in the defense of our country, and as we are literally on the front line, it’s our responsibility to do whatever we can to identify border threats and keep people safe. If you would like more information about Inter Global Logistics and how we can help facilitate legitimate importing and exporting at the border, please reach out to us using our contact form, or give us a call at 1-647-428-6537 or toll free at 1-866-777-7556. Just ask for Sheldon or Ken!